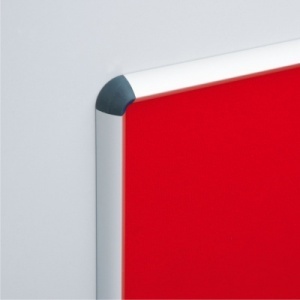 Shield is a premier range of eye-catching noticeboards, with a deluxe contoured Shield aluminium frame available in a stylish satin aluminium finish. The pronounced Shield frame design will make your notices and printed media stand out, creating an eye-catching display. 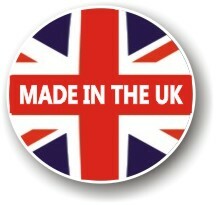 Part of the Shield co-ordinated range of products. 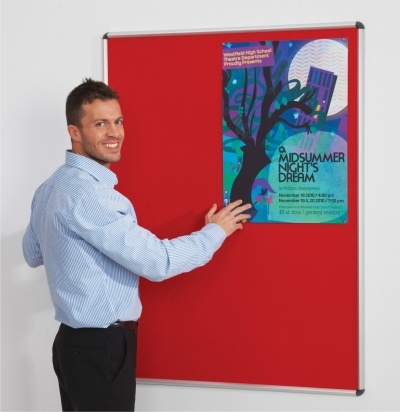 This Shield noticeboard is available in seven standard sizes and can be mounted either portrait or landscape with fixings provided. 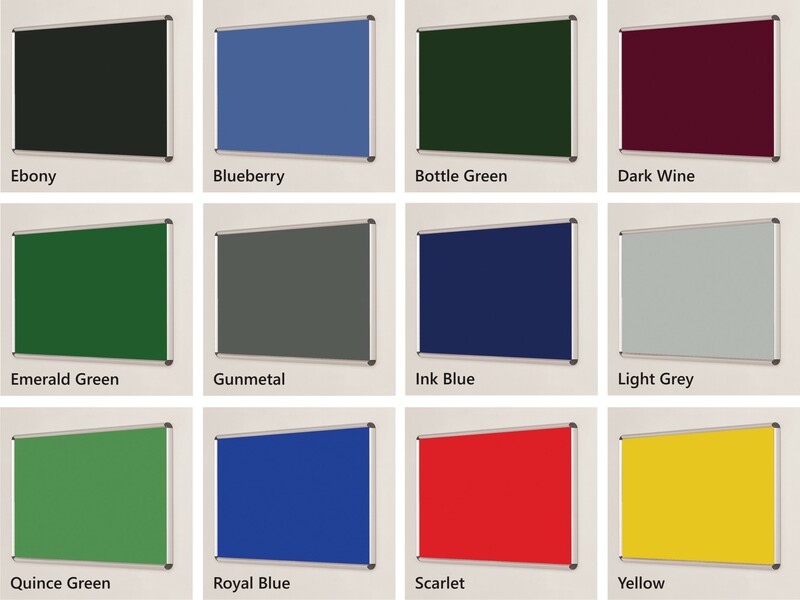 The Shield is a deluxe noticeboard which is available in a choice of 12 Loop Nylon fabric finishes.